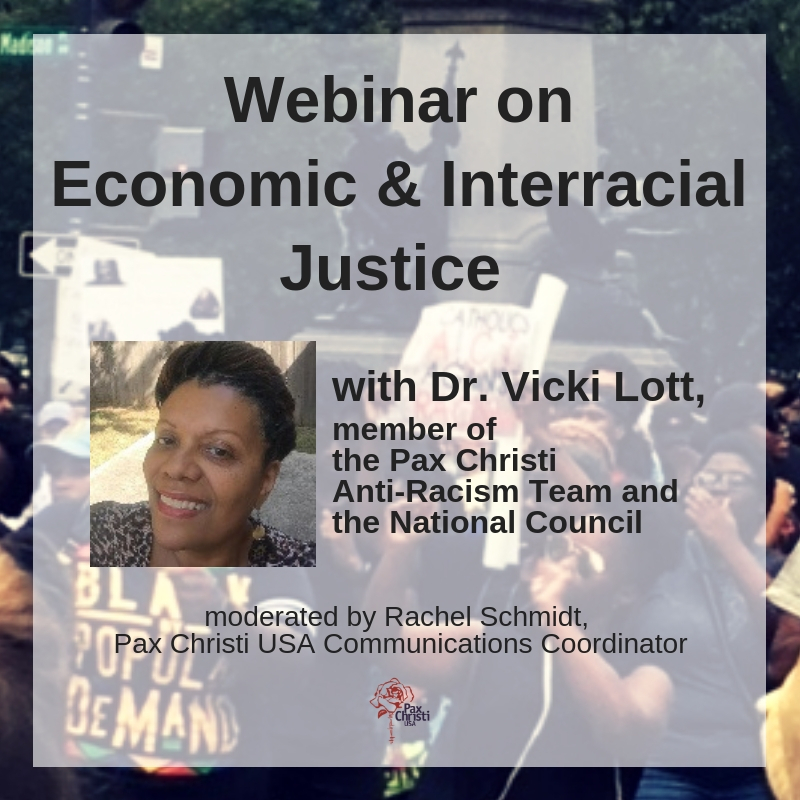 NOTE: Upon notice of Berta Cáceres assassination, Pax Christi USA Executive Director Sr. Patty Chappell, SNDdeN, stated in an email to Padre Melo, Berta’s friend and co-worker: “Pax Christi USA members, National Council and the National Staff mourn with you the deep loss of a wonderful peace-maker. In the midst of great sorrow, may Berta’s life and death give new hope to the people of Honduras in the struggle for peace with justice, for the land has now been blessed with the blood of a martyr. We are in solidarity in commitment and in prayer for and with the Honduran people. 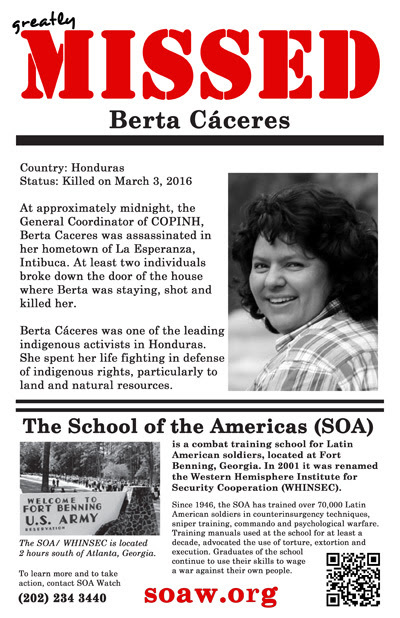 HONDURAS – At approximately 11:45pm last night, the General Coordinator of COPINH, Berta Caceres was assassinated in her hometown of La Esperanza, Intibuca. At least two individuals broke down the door of the house where Berta was staying for the evening in the Residencial La Líbano, shot and killed her. COPINH is urgently responding to this tragic situation. Since the 2009 military coup, that was carried out by graduates of the U.S. Army School of the Americas, Honduras has witnessed an explosive growth in environmentally destructive megaprojects that would displace indigenous communities. Almost 30 percent of the country’s land was earmarked for mining concessions, creating a demand for cheap energy to power future mining operations. To meet this need, the government approved hundreds of dam projects around the country, privatizing rivers, land, and uprooting communities. Repression of social movements and targeted assassinations are rampant. Honduras has the world’s highest murder rate. Honduran human rights organizations report there have been over 10,000 human rights violations by state security forces and impunity is the norm – most murders go unpunished. The Associated Press has repeatedly exposed ties between the Honduran police and death squads, while U.S. military training and aid for the Honduran security forces continues.